2010 Arsenal boys - Champions at Western Lehigh Fall Fest! 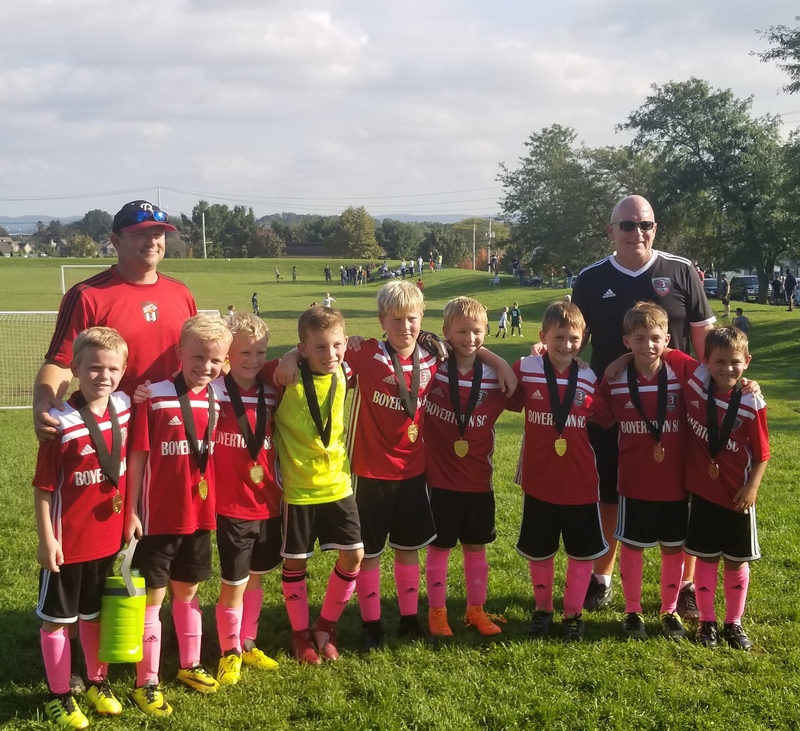 The 2010 Arsenal boys claimed their first ever tournament championship competing in the top division at the Western Lehigh Fall Fest over Columbus Day weekend. On Saturday they opened the tournament in a hard fought 1-0 victory over St. Joseph the Worker. Their second game, versus Reading Rage, the boys kept the second clean sheet of the day with staunch defense along with pressing offense and notched a 4-0 victory. On Sunday the boy impressively came out firing at their early morning game against HSC Haverford and peppered many shots in the first half. Early in the second half, they broke through with two goals and came away with a 2-0 win. After having to wait almost six hours for the championship game, the boys jumped out to a two-goal lead in the first half while holding a 2-0 margin at the break. In the second half, the 2010 Arsenal gave up their only goal of the tournament and proudly sealed the 1st place finish.